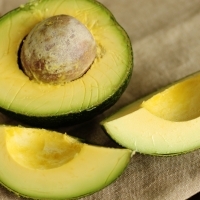 The avocado is one of the most versatile of all fruits. 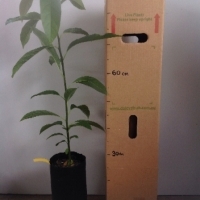 Given the correct growing conditions these trees will bear heavy crops in as little as 3 years. The flesh is a buttery yellow creamy flesh with a delicuous flavour. The skin is dark with bright green bumps and is rough textured. It grows best in coastal areas, in inland regions the skin turns russett brown. 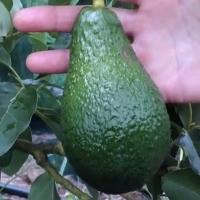 Resembles the fuerte avocado with its pear shape and thin, glossy green skin, which remains green even when ripe, however its flesh is not as creamy or as rich in flavor. It has low oil but high water content, resulting in a slightly watery flavor, and has pale green flesh with a fibrous texture. 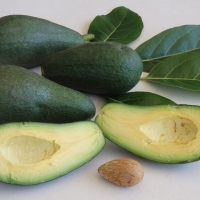 Its mild flavor and problematic peeling makes it less desirable than other avocado varieties. 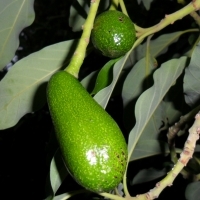 The Zutano avocado tree grows upright, with a rounded shape and spreading branches. 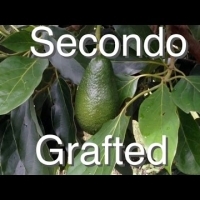 A small to medium pear-shaped fruit with thick, green skin that peels easily. 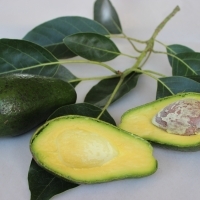 The fruit has an excellent flavour, medium oil content and does not turn brown when cut. H Feb/March The tree has a spreading habit and is a high yielding. It displays good resistance to frost and anthracnose. A rounded fruit with the later crop being more pear-shaped. 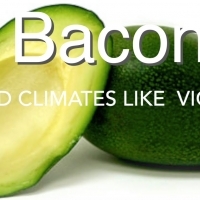 The thick flesh has a smooth-texture, good flavour and high oil content. It shows some cold tolerance and bears consistently heavy crops. 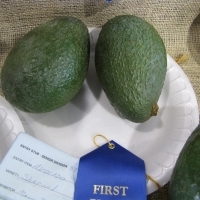 H June to August The fruit is medium sized with green leathery pliable skin and a small seed. 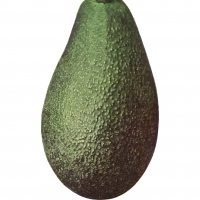 A medium sized fruit with rough green skin closely resembling the Fuerte but slightly more oval in shape. The fruit has a rich flavour, good oil content and small seed. Sensitive to frost. 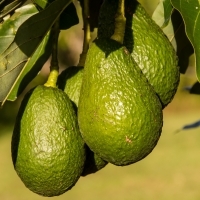 H June, Aug The Sharwill represents up to 20% of all avocadoes grown in NSW, is a regular and moderate bearer with excellent quality fruit.